Ottawa, Ontario: October 4, 2018 – The Seed Synergy partners applaud the Minister of Agriculture and Agri-Food, Lawrence MacAulay, for confirming the launch of a consultation on potential amendments to Plant Breeders’ Rights (PBR) regulations. 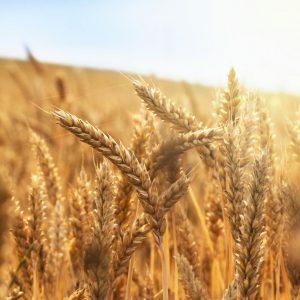 This consultation includes value creation in cereals which explores increasing the investment in research and innovation that is necessary to position Canada as a leader in variety development. Seed Synergy partners and member companies alike are united in support of a consultation process that would bring about an effective value creation system in cereals for Canadians. This system would allow Canada to remain competitive in a rapidly evolving national and international marketplace and benefit cereal breeding programs for private and public companies of all sizes across Canada. As it stands, public and private breeding programs are unable to recover the full cost of variety development. “Seed growers recognize that any changes to the system intended to generate additional funds for plant breeding in Canada must benefit breeders and generate value for producers of all crop kinds by building on the strengths of the current pedigreed seed system. We believe that additional support for Canadian plant breeders will lead to increased access to innovative varieties for seed growers and for our customers, and that it is essential for Canadian agriculture to thrive and continue to contribute to the well-being of Canadians,” said Jonathan Nyborg, President of the Canadian Seed Growers’ Association. The Seed Synergy Collaboration Project acknowledges that the current model of the seed sector must adapt to change and seize emerging opportunities. Canada needs a strong vision for the future, and practical reforms now, to position producers, innovators and ultimately the entire agricultural value chain to succeed in a highly competitive and innovation-based global marketplace. The Seed Synergy partners look forward to working with allied groups and the federal government throughout the consultation process to bring about an effective value creation system in cereals. The Seed Synergy Collaboration Project brings together senior leaders of the six major seed industry organizations to bring about a next generation seed system in Canada, and includes: the Canadian Plant Technology Agency, the Canadian Seed Growers’ Association, the Canadian Seed Institute, the Canadian Seed Trade Association, the Commercial Seed Analysts Association of Canada and CropLife Canada. Learn more about the Seed Synergy Collaboration Project at seedsynergy.net.